For my STEP experience, I went to a two-week music festival in Rensselaerville where I was able to study violin with professors from all over the country and interact and collaborate with other student musicians. I took private lessons and group coachings from professors, participated in playing chamber music, and attended musicology and performance lectures. 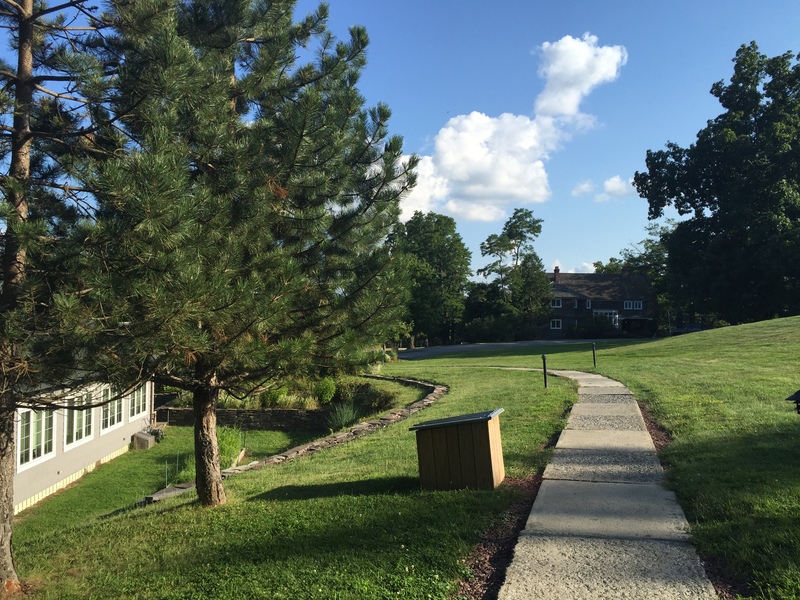 The venue was surrounded by nature, giving me the opportunity to spend time “off the grid” and explore some of the area in the Catskill Mountains. I learned and grew significantly at this music program both as a musician and a person. One important skill I developed was optimizing the time I spent practicing violin to get the best result in the least amount of time. This is especially important because that was a personal goal I had going into the festival, and I was able to achieve it! Second, I found the lectures I attended to be particularly inspiring, and I learned lots from them. Finally, something I learned at this program that was quite useful in the year that followed was all the training I received from one of the professors on a piece I was working on, Havanaise by Saint-Saens. I went on to compete in the Ohio State University School of Music concerto competition with this piece, and I won, allowing me to play it as a soloist with the OSU Symphony Orchestra. Before I left on my trip to upstate New York, one of the music professors here at OSU gave me a book on how to make the most of practice time. I read this book in the airport (I was there a while due to a delayed flight), and was able to apply what I learned to my practice sessions in the following two weeks. This was the perfect time to amend my practice routine, because the participants were allotted a fair amount of free time each day, most of which was spent practicing. So I was able to practice every day, usually for at least three to four hours, with no distractions. By the end of the two weeks, I had developed a much more efficient practicing method which allowed me to both learn a good bit of repertoire and further improve my technique. 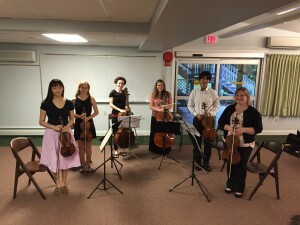 In addition to private lessons, chamber group rehearsals, coachings, and performances, this summer music festival included a lecture series given by some of the violin, viola, cello, and piano professors on site. Most of the lectures blended elements of performance and musicology, and they were very enlightening. My three favorites were “Contemporary music for strings,” “Romantic sonatas,” and “Baroque technique.” Each of these lectures discussed a lot of the elements seen in the music of each respective time period and how to realize them from a performance perspective. These lectures helped me understand the importance of understanding the history behind the pieces I play in order to create an educated interpretation of the music. One of the teachers I took private violin lessons with at this festival was Peter Zazofsky of Boston University. I brought him a piece I had just started working on, “Havanaise,” by Saint-Saens. Mr. Zazofsky, an avid fan of Romantic era music and a fan of Saint-Saens, was very helpful to me in learning how to transform the notes on the page into a musical experience. He even convinced me to compete in the OSU Concerto Competition this school year with that piece, and luckily I won and was given the opportunity to play it with the orchestra! The level that I brought Havanaise to was the highest I had ever achieved, and I must say, I’m really proud of that. I do believe that because of this experience I now know how to approach learning new pieces and bringing them to a high level. As a molecular genetics major, my future career plans do not include music. Was this trip a waste of my time, then? Absolutely not. First of all, even though I’m planning on pursuing science, I want to be able to continue playing violin on the side. Since I won’t be completing any graduate school in music, I will need to be as self-sufficient as possible. I will need to be able to learn new repertoire, learn about the history of the music and relate it to what I already know, and formulate a unique interpretation of the music, all without the help of any teachers. And while I do just want to keep playing music simply because I love it, I still do firmly believe that maintaining my art will help me as a scientist. In a world full of facts, equations, and analytics, it is vital to have a creative mind. Out-of-the-box thinking is necessary to propel the field of science forward, and for this reason and many others, I am determined to always nurture the creative side of my brain.